Oats are great for breakfast and snacking. Soaking them overnight makes them much easier to digest and their nutrients are better absorbed by your body. 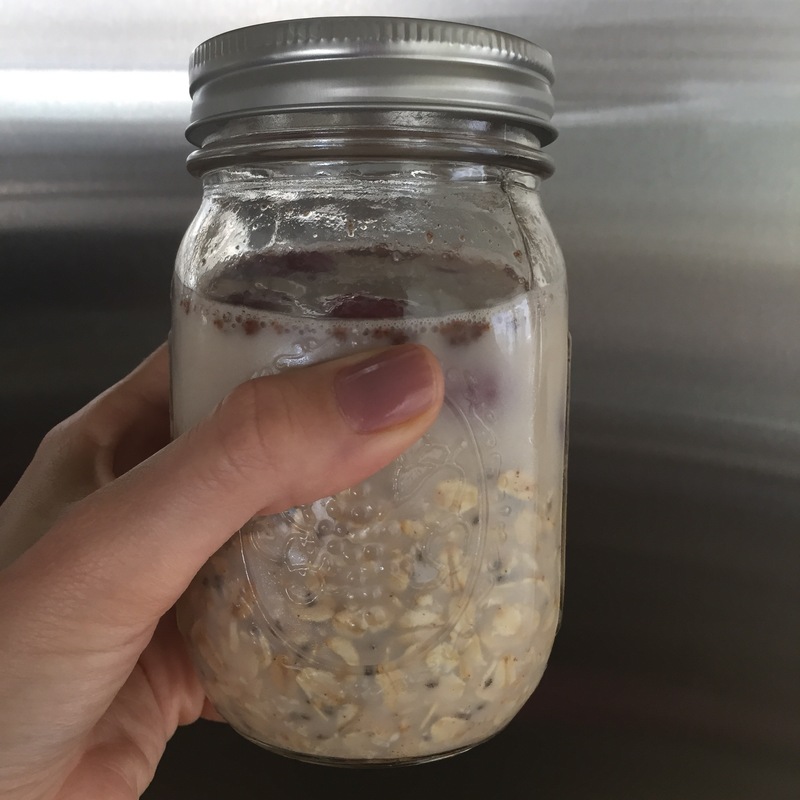 To prepare them just mix in a mason jar 5 table spoons of organic old-fashioned oats, a pinch of cinnamon, few drops of vanilla extract, 1 tbsp of chia seeds, and 1 cup of almond milk. You can sweeten it with stevia, maple syrup, coconut crystals, or lucuma powder. To finish, just top with berries. Close the lid and place it in the fridge. Keeps fresh for 3-5 days.